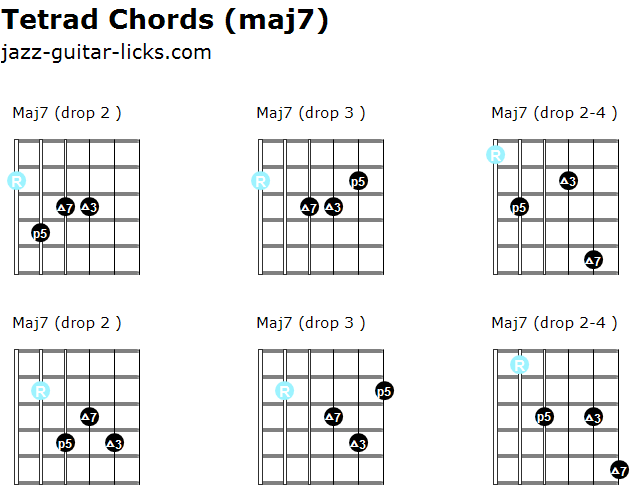 A basic chord is built with three notes this is what we call "triad chords" or "triads". 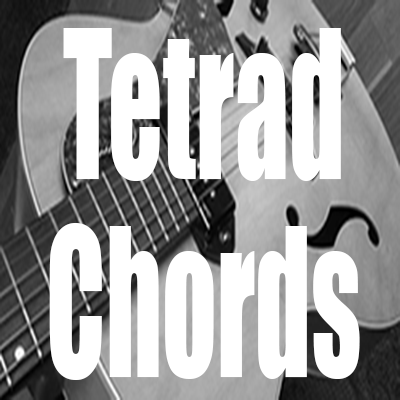 Tetrad chords aka "four note-chords" are simply chords containing four notes, “tetra“ is a Greek root meaning four. 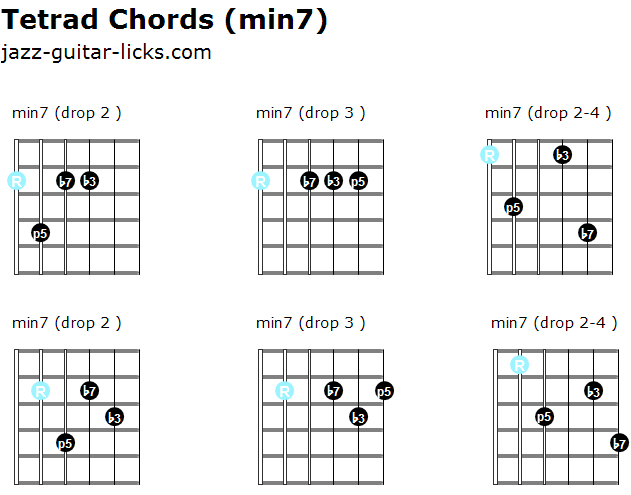 This means that tetrads have an additional note, a major seventh or a minor seventh. In other words , a tetrad is a triad with a supplementary note. This article will enlighten you on how these tetrad chords are built and how they can be classified. 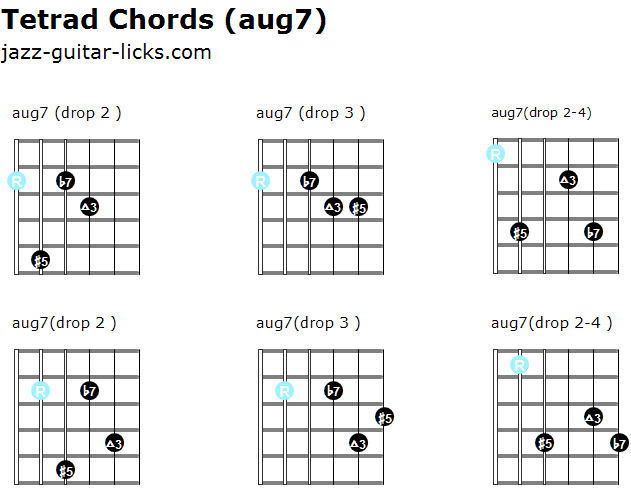 Tetrads are essentially seventh chords. 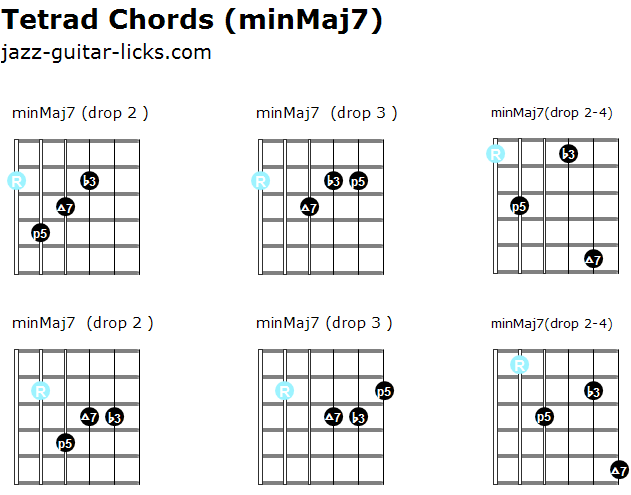 Seventh chords are what happens when you stack one minor or major third on top of a triad. 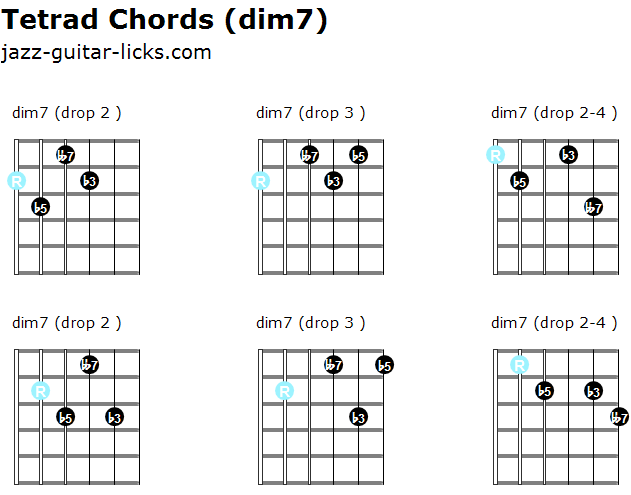 Common-practice music uses five types of tetrads (m7, Maj7, dom7, dim7 and half-dim7). 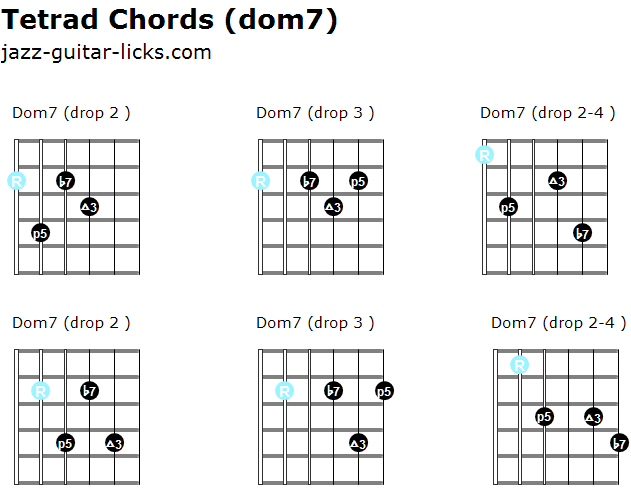 You will find below the formulas and guitar shapes to play drop 2, drop 3 chords and drop 2-4 tetrad chords on guitar. 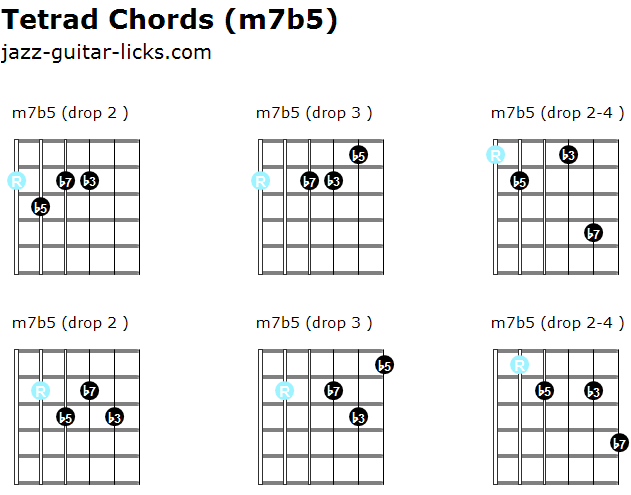 You can also check out the infographic about tetrad chords. 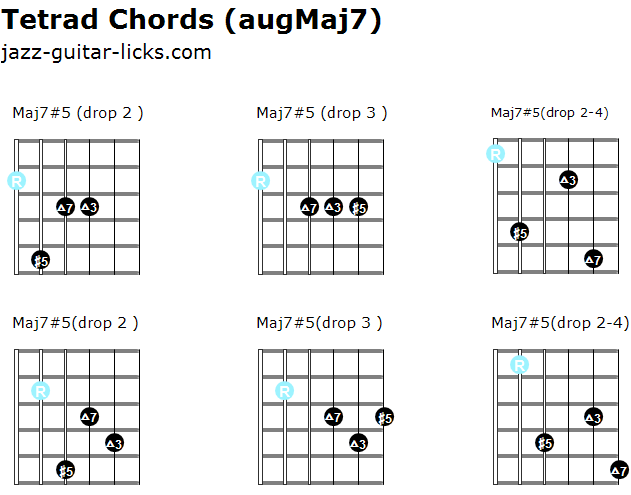 This lesson contains 48 guitar diagrams to play major, minor, diminished and augmented triad chords.